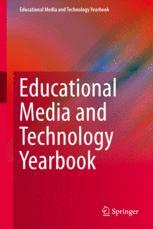 The audience for the Yearbook consists of media and technology professionals in schools, higher education, and business contexts. Topics of interest to professionals practicing in these areas are broad. The theme unifying each of the chapters in the book is the use of technology to enable or enhance education. Forms of technology represented in this volume vary from traditional tools such as the book to the latest advancements in digital technology, while areas of education encompass widely ranging situations involving learning and teaching, which are idea technologies.